“The globalist media has stubbornly insisted on denying the fact that we have killed two of the very Shekaus they have themselves shown in videos as the actual person. 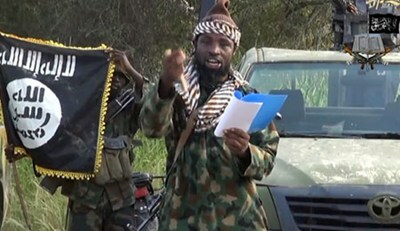 They pretend not to notice the very different people who all impersonate Shekau in the many videos they release as a singular person, but when we kill these very people they just publicized then they say it wasn’t him and push out the next available video of another of his impersonators, gleefully, as soon as Boko Haram sells it to them“. So long as the Francophone media is bent on dragging Nigeria to its begging knees, Shekau will never die. The controversy on the death of Boko Haram leader, Abubakar Shekau is one that is entirely manufactured by Globalist media. It is nothing less than media terrorism by the desperate colonialists. But these globalist media cannot be solely blamed. It is us who have Boko Haram sponsors in the Presidency and as our army Chiefs after all. Protected, supported and paid with billions by our President. We have no credibility and as long as this nation keeps such clueless and adamantly wicked men at its helm, the globalist media will continue to disgrace and terrorize us and will keep Shekau immortal. The globalist media has stubbornly insisted on denying the fact that we have killed two of the very Shekaus they have themselves shown in videos as the actual person. They pretend not to notice the very different people who all impersonate Shekau in the many videos they release as a singular person, but when we kill these very people they just publicized then they say it wasn’t him and push out the next available video of another of his impersonators, gleefully, as soon as Boko Haram sells it to them. The latest bump-head Shekau we killed has been promoted by them on many occasions as the one and only Shekau. Now they are releasing video of droopy left lip, almond eye Shekau. The minute we kill this one again, they will bring out the next and the next, in frank terrorism and with an ultimate plan to frustrate Nigeria into submission for foreign complete invasion and destruction as was done to Libya; thanks to our participant, wealth blinded, terrible leadership. It is ironic that in 2011 when America “killed” Osama who we all know was already dead since 2001, and never showed us even a single picture of his dead body, none of these very media questioned the blatant lies. But now they invest heavily in giving our Shekau nine lives. It’s not their fault; it is our fault for electing leaders with no shoes because we were colonially battered into a dumb foreign tribalist culture. With our President who scores world worsts every time, recently of note, doing abominable things like using the #BringBackGoodluck” slogan, how will they ever fear and respect us? After all, when late President Umaru Yar’Adua killed Mohammed Yusuf, the actual Boko Haram leader believed and touted to be immortal, dem no born any globalist media well (translated: No media had the guts) to broadcast video’s of his aspiring impersonators. A little time, 2015 or 2019, this will all be over. #VictoryForNigeria. We stand by our Civilian-JTF and active soldiers, those engaged in the battle front, not the morbidly obese, cash bloated, Abuja barrack land usurping Boko Haram sponsor Army ogas at the top.